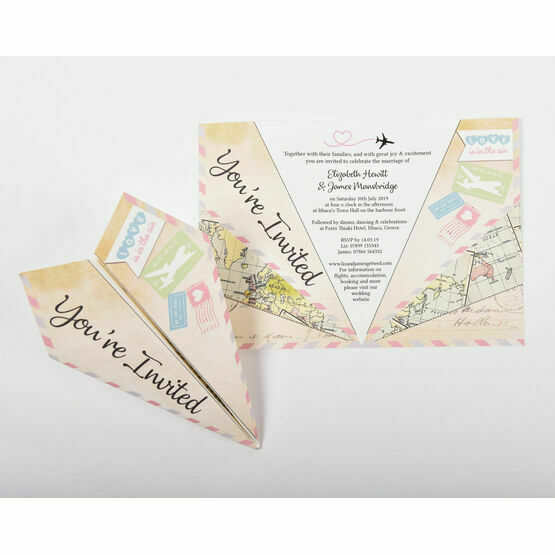 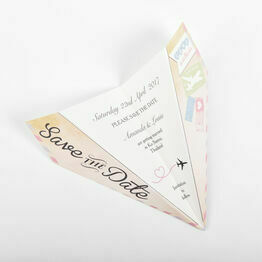 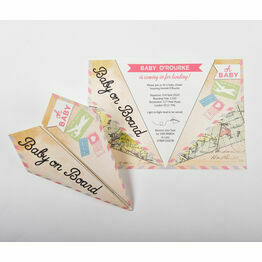 Invite guests to attend your destination wedding in style with our unique and eye-catching paper airplane invitations, complete with a beautiful pastel colour scheme. 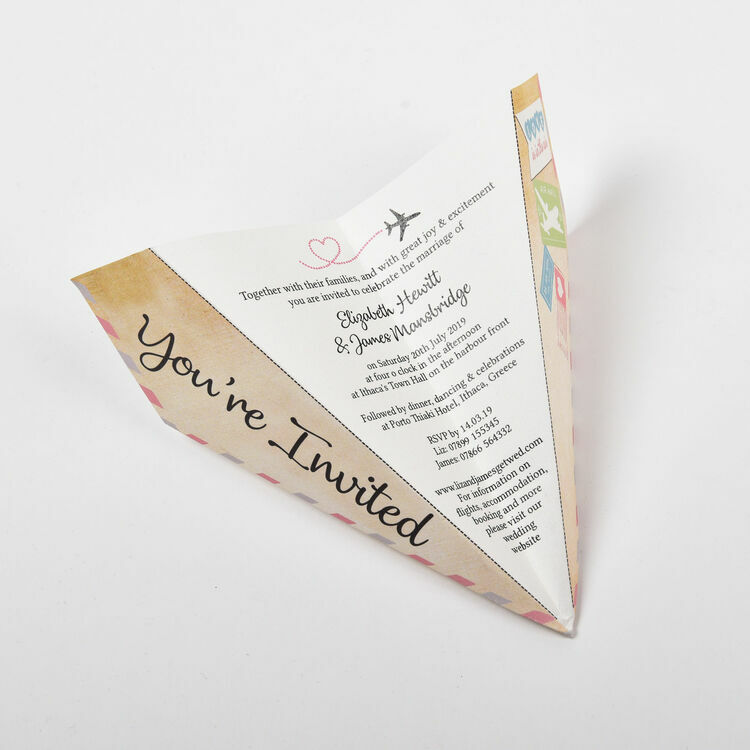 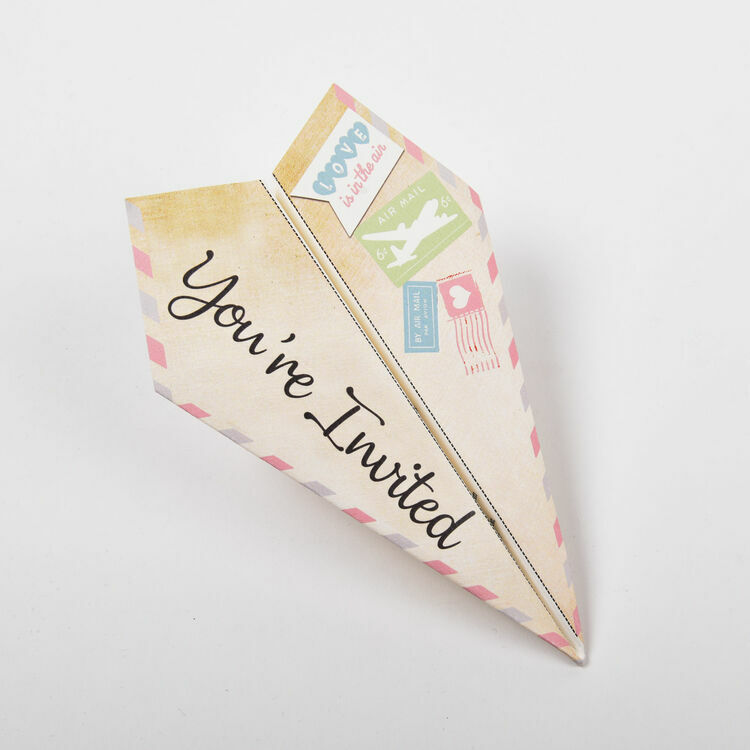 If you're planning a wedding in a stunning sunny location, this paper plane invite is the perfect way to get guests excited for your big day. 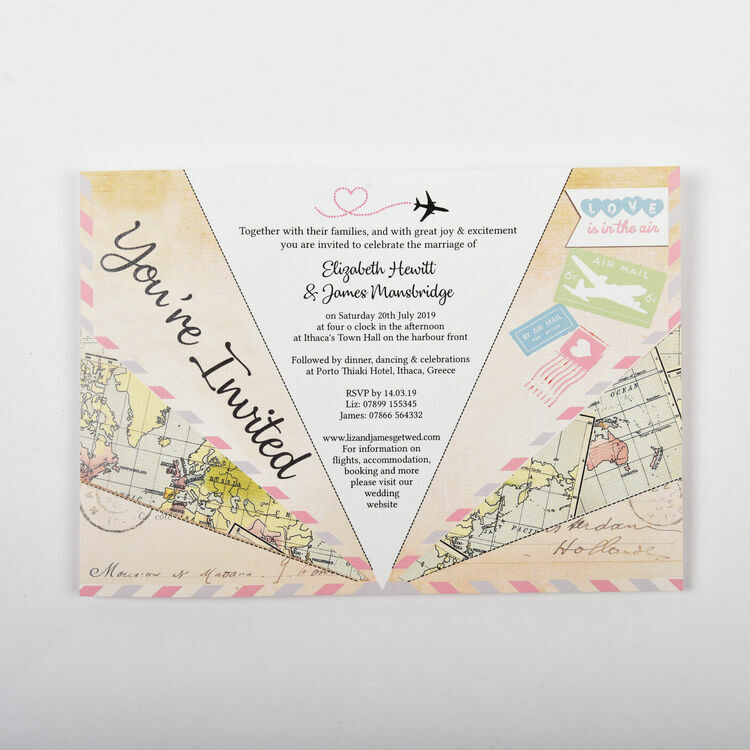 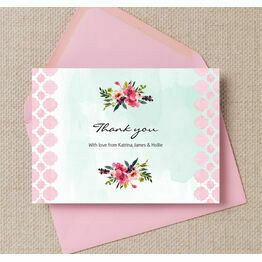 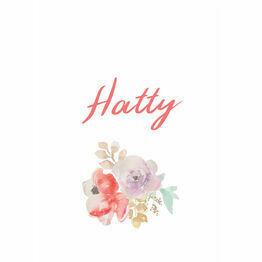 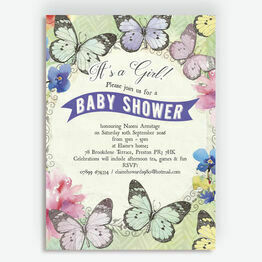 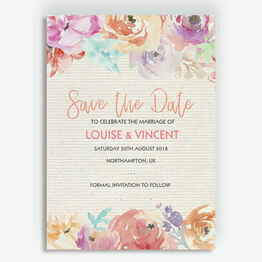 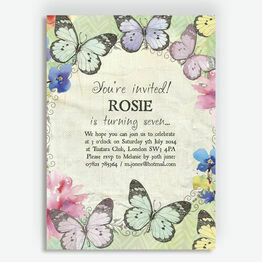 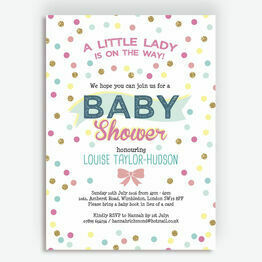 Styled with vintage airmail and postcard details, all in pastel shades, you can add all of the key information guests will need. 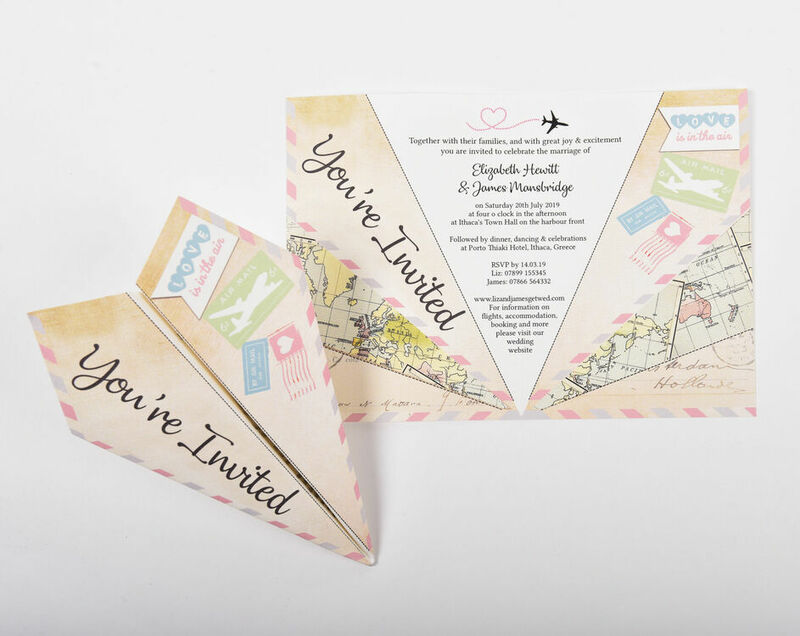 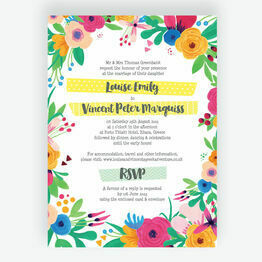 Carefully designed, each invite includes easy-to-follow fold lines, so you can either fold them up before you send them, or let guests do it themselves when their invite arrives.